I figure this one should be entitled "We 3 Queens.."
Happy Monday everybody! 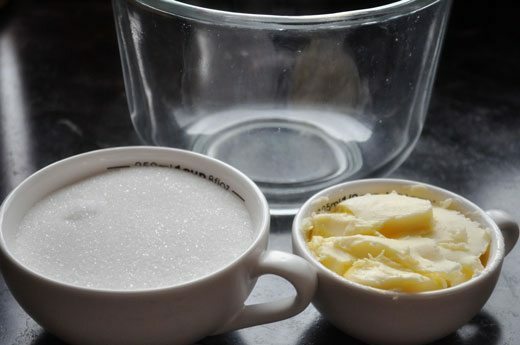 If you’re in the mood to stay indoors and create some homemade Christmas presents this year, I have a sweet idea for you. 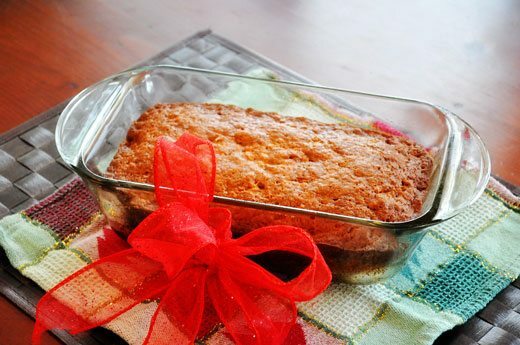 It’s a gift straight from the heart of the kitchen and it’s so easy to do – even I managed okay! Before we get into the wholesome goodness though, please remember that My Stable Life has a wonderful Christmas contest going on right now. Since I love our readers so much, I have an awesome gift basket for anyone who’d like to share their favorite Christmas memories with me, or the reason why this upcoming Christmas will be special for you or someone else! 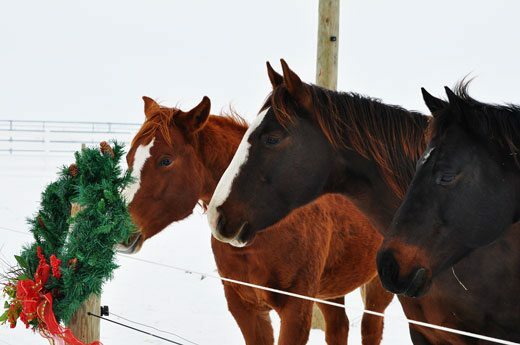 Check out My Stable Life Christmas Contest for more details. Alright back to the warmth of my oven… literally, do you know how cold it’s been in Regina, SK, for the last couple of days?? 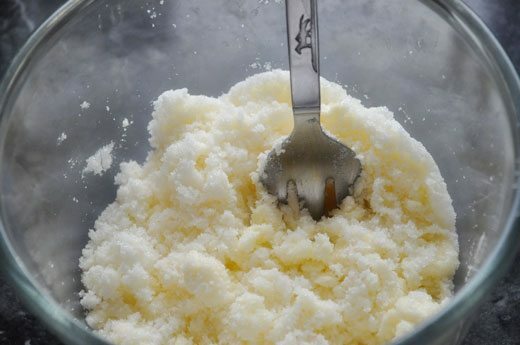 Preheat your oven to 350 degrees F. Cream 1/2 cup margarine (I use Becel) and 1 cup sugar together. 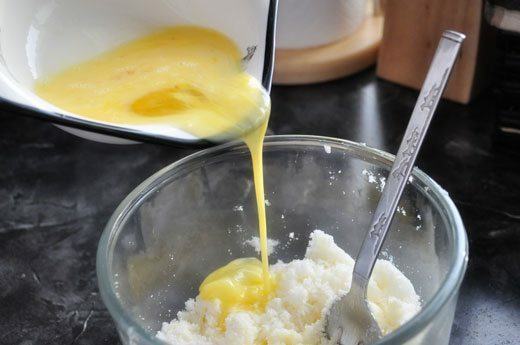 Beat the eggs in a separate bowl and then add to your sugar mixture together, beat and mix together until smooth. 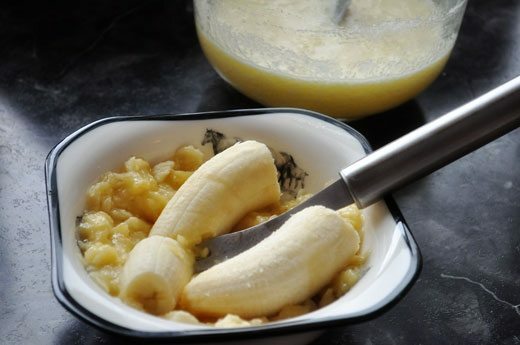 Peel and mash bananas with a fork in a small bowl. 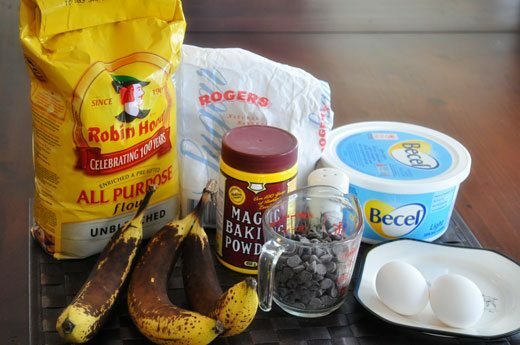 Add mashed bananas to sugar / margarine / egg concoction. 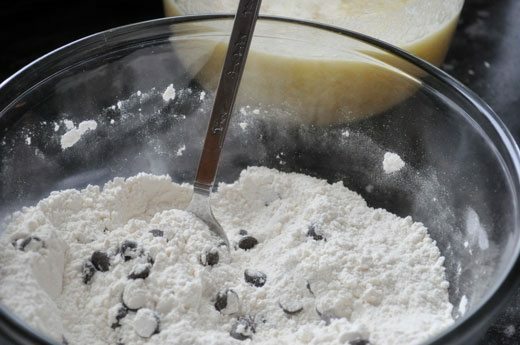 In another bowl, mix your remaining dry ingredients together: 1 3/4 cups flour, 1 teaspoon baking soda, 1/2 teaspoon baking powder, salt and chocolate chips. 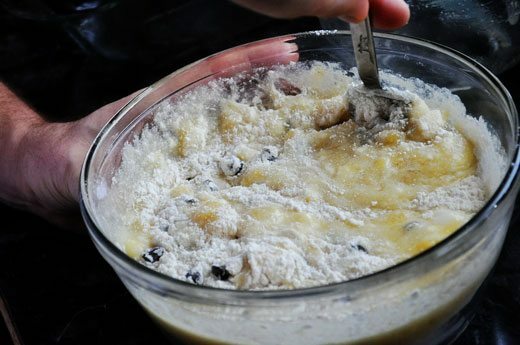 Add banana / sugar / margarine mixture to dry ingredients. 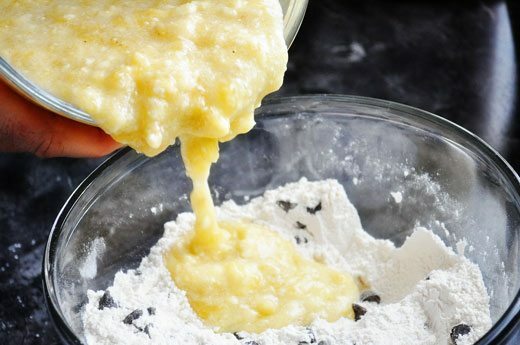 Then using two 14 cm x 23 cm glass pans that are greased, divide the batter evenly among them. 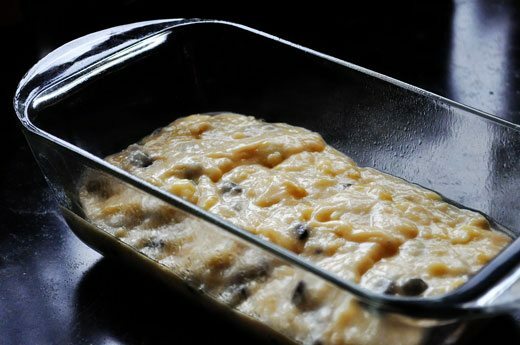 Bake for approximately 40 minutes and ensure the outside has browned. 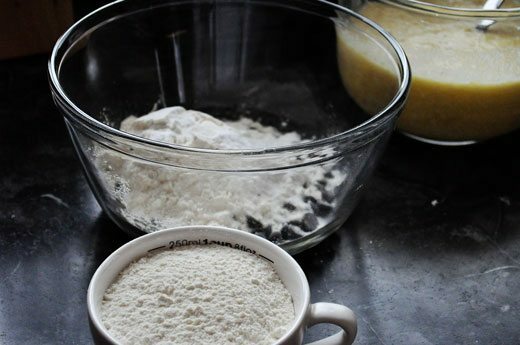 Place a toothpick in the center of each loaf to make certain it comes out clean. Let stand 10 minutes. IMHO-the chocolate chips are the best part and sometimes get eaten before they get added.Betty-Nana-always adds mixed chopped fruit to hers-a well known family secret! Lovely idea Jenn – I see that Clay had his hands in it too – those are definitely male reiner hands at the bowl – he was probably on the eating end too – kootos to both of you ;).